Standard Sizes: 6′ x 6′ up to 12 ‘ x 20′ long are factory assembled and can be shipped directly to the job-site. 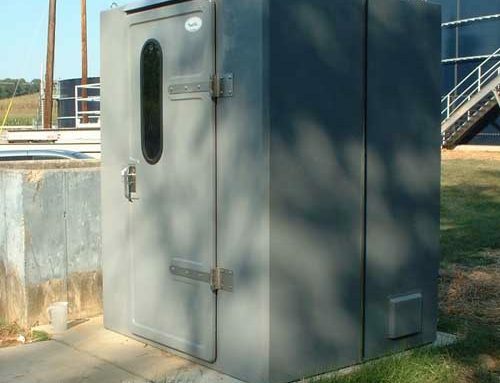 Larger custom fiberglass Shelters are fabricated to ship in sections for on-site assembly. 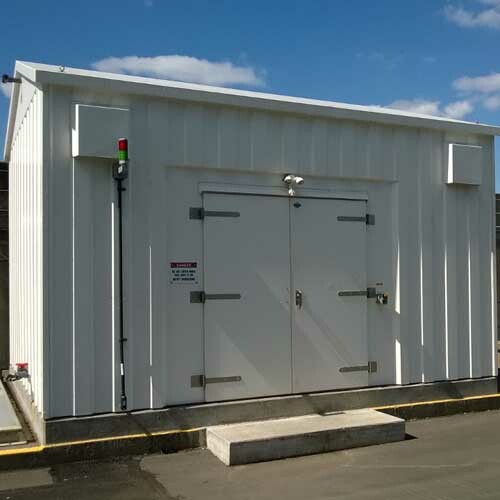 Units are available in sizes ranging up to 20′ x 40’. Standard Available eave heights are 7ft., 8 ft and 12 ft. Custom, made-to-order shelters are a specialty. Plasti-Fab’s reputable quality design and construction allows you to configure a virtually no-maintenance, all-plastic FRP protection for your specific control, instrumentation or equipment housing. contains no laminated wood or metal to rust or decay. Standard electrical packages may include a NEMA rated control panel, lights, outlets, fans, heaters, switches, pre-wired.